Denna produkt ger dig 103 bonuspoäng. Fine drops! 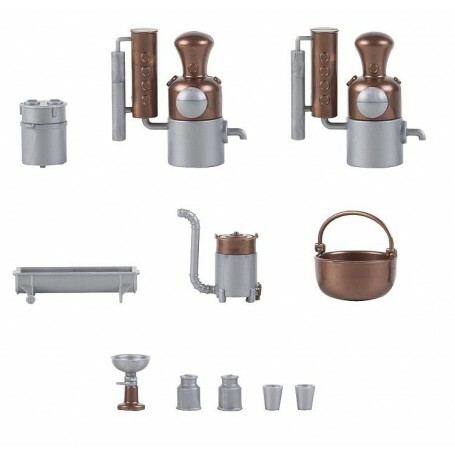 Small distillery equipment for the production of alcoholic spirits, comprised of two stills, a boiler, a centrifugal machine, buckets and cans. This building kit contains: 40 single parts in 2 colours and 1 construction instruction.